Rest in peace, when I hear those phrases, I am directly connected to the death. It is an opposite of word and act called “life”. Our soul desperate from our body came into corpse. And some people called back to the creator or god. Although, when we hear those word will make us feel sorrow, melancholy, and depress, but, tis is condition that we can’t escape but have to face it. Feeling miserable when we saw a funeral, an act to bring dead person or corpse or called observance before them go to the burial or cremation. Wearing a gloom suit (black) in our culture to symbolize our sadness. A tear drops heavily seeing our people aren’t around us anymore. Implying a safety pray forgive their sins for the corpse. For the closest connection (family, friend, husband/wife, etc. ), is the saddest moment when we washing their body with formalin to clean from bacteria that eat them and carrying their body to their burial and bury them. Showering their burial with a kind of unique flower called kembang 7 rupa (combine of red rose, white rose, Interest chrysolite, Ylang, tuberose, Jasmine, and Gambier Jasmine to symbolize condole from funeral tradition from Asian like India, China, and Archipelago country) and water hope their burial grow a plant. And later, there is tradition that we have to come to the death person’s family in next day, next week, next forty days, and next year after that person’s death in Indonesian to pray their safety and peace in afterlife. I think I feel those things when my grandfather from my other died in 1998. 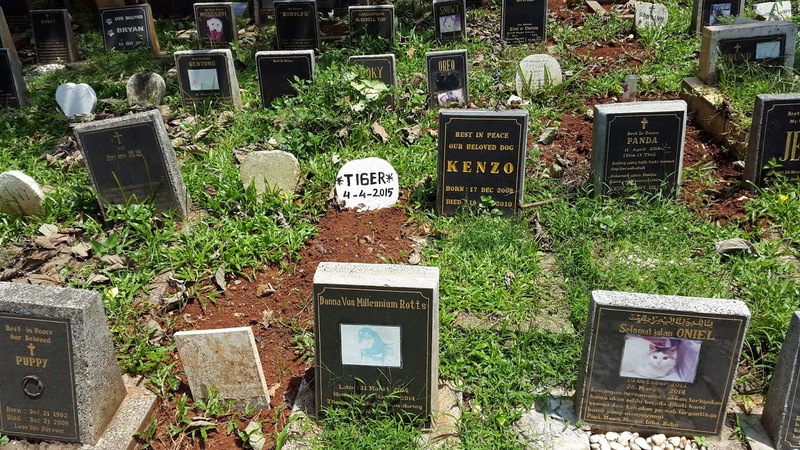 He was buried in at nyengseret Cemetery, Tegal Lega, Bandung. Feeling sadness and sorrowful when I realize I admire him so much. I admitted him that he was same as me. Careless. It was the word describe for me and my grandfather. Always do anything without considering consequence. Laziness. Always delay to doing anything that unfortunately it was important. When I mourn my grandfather’s grave on September 2007, I was depressed to looking my grandfather grave. With my family, I showering and praying in front of my grandfather’s grave. Drop of tears flooding the floor of cemetery. Darkness of depress infiltrate our heart. War of minds shooing our concentration to be mess. Looking at the grave with silver color and created from assemble from stone with a white flour that harden made those materials patent. In that moment, our memory was bias with a reflection of our grandfather’s body. Every time we hear Nyengsered Ceremony, we always remind to someone. Someone that make our figure dream formed. A gloom place, a hundred of sleep peacefully. Surrounded by a tree made tense appear. A group of older and children sit in that place to take care of that place. Made this place feel surrounded by a soldier of fear surrounding our heart. When I entered the gate, feels like I was entered an emperor of gloom. A soldier of burial line up and divided into some group of family caste. Sale of kembang tujuh rupa welcoming us like we have welcomed to the scariest place. Sounding of their offer made us want to give hope present to our beloved of their soldier. A janitor blooms those places made the place clean. Like a messenger of the emperor guarding the castle from the attacker of garbage. When I walk to our beloved soldier, the burial made a fear sensation like we were watched by another soldier. They looked madly that made us fear. Surrounded by them made us walk fast and riotously like they want to us give them a present too. Moreover, the wind that slide in our skin made us goose bumps. Fear surround me and my family which is my father, mother, little brother, and my sibling. After we arrived to our beloved soldier which is our grandfather, I feel safely as this soldier guard us from another soldier that stare us scarily. Feels like he protected us made our heart and tension calm or down once again. We start to do the ritual, showering the burial, gave the flowers, and praying in our mind to have they rest peacefully as we gave the present to our beloved soldier and gave hope will of fire to fighting their responsibility of their sins in the world before afterlife. But I think, they are still waiting us before enter the heaven or hell until the Day of Judgment wiped us and meet them. When I started to pray, I realize that I have more sins in the world. Comparing us to the person that has already diet about responsibility in this world about what have we do in this world, treating or damaging it. Because we can still fix our sins in this world instead to them that has already died because they have to take their responsibility to god about their duty in this world. Reflecting with them, I realize that I have to fixing our duty to forgive our sins from god before the Day of Judgment come and realizing it without regret our act in this world. After we finished our ritual to our grandfather, a group of children and elder came to us. They said that they want to us give their money sincerely. It like a famine of society came to us force to give them dole and food. They like a hungry famine that never eat food in a week and thirsty to our treasure. After we give them ten thousand rupiah, they celebrate and gave thanks to us like we already saved them from disaster that make them died slowly and pray to us that hopefully god give us happiness and perseverance. Finally, we got out from the cemetery. Feels like we already been release from the curse, a darkness that surrounding our heart which is fear and sadness. Free from those feeling made us relieved. But the other feels came, a sadness of our grandfather. He was not in this world again. Left by him. We still wanted him come to this world again to see him face once more. To talk about anything that made us calm. Unfortunately, he never come down to this world again forever until we pursue him to the afterlife. But after I visited cemetery, I realize that People life in this world in a short time. So, use our time wisely to do a kind thing before god demand our duty in this world that made us have to enter heaven or hell. So, I assume that in this world, before we met the afterlife, do it what you want to do before you regret something.